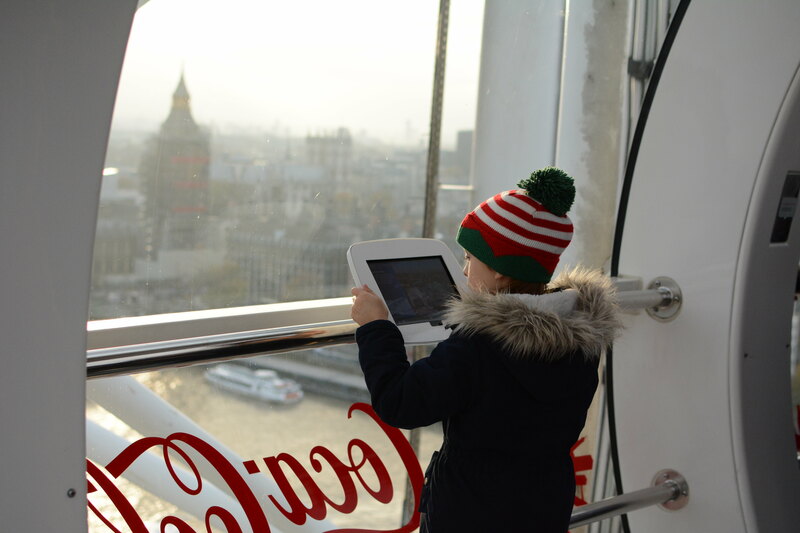 For months now we have been talking about taking the children to London at Christmas. We have planned it, looked forward to it and imagined what a festive day we could have and how the children would just love it. 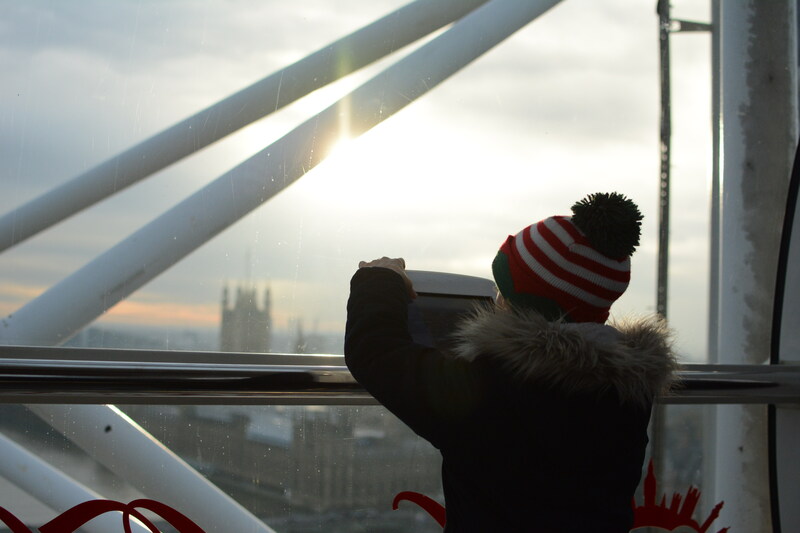 I have been a fair few times this year actually for various events but we really wanted to take both the children and to soak up the festive feeling of the city at this time of year so when London Midland offered us the chance to go with them we knew it was perfect. 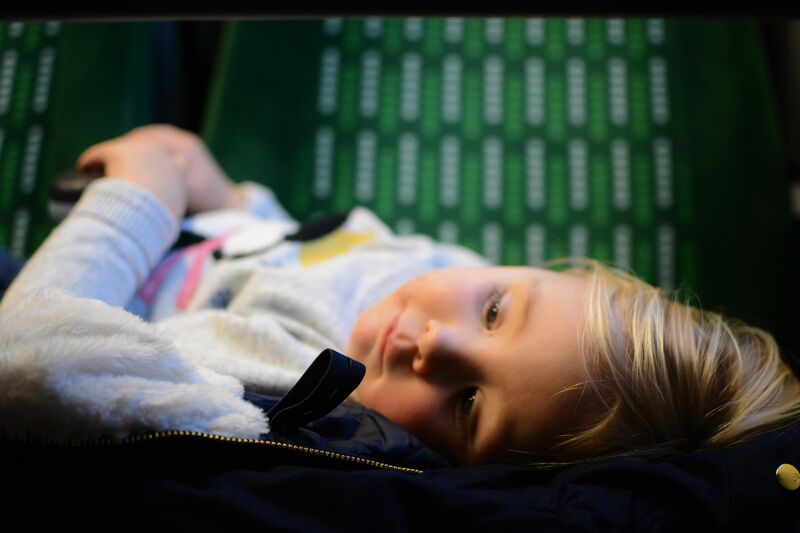 I can’t quite believe how fast the time has gone but at 2 years old this would not only be Roma’s first trip to London but also in fact her first trip on a train at all! For a train mad little one this is clearly a mistake. She was soooo excited! We decided to keep the plans a surprise and we didn’t tell them until that very early morning at 6am when they wondered why on earth we had got them up so early and why we were rushing them to open the advent calendar even before breakfast. They were practically giddy on the drive to the station, soaked up the atmosphere on the platform laughing at the wind that was caused by passing trains and wondering when the train was coming so they could eat. Being organised parents we had brought croissants and fruit for breakfast and a coffee from the station and as we boarded the train to get a table seat looking on at the joy in the childrens faces with such a treat it was really heart warming. The train takes just under 2 hours and strangely I wasn’t nervous at all. 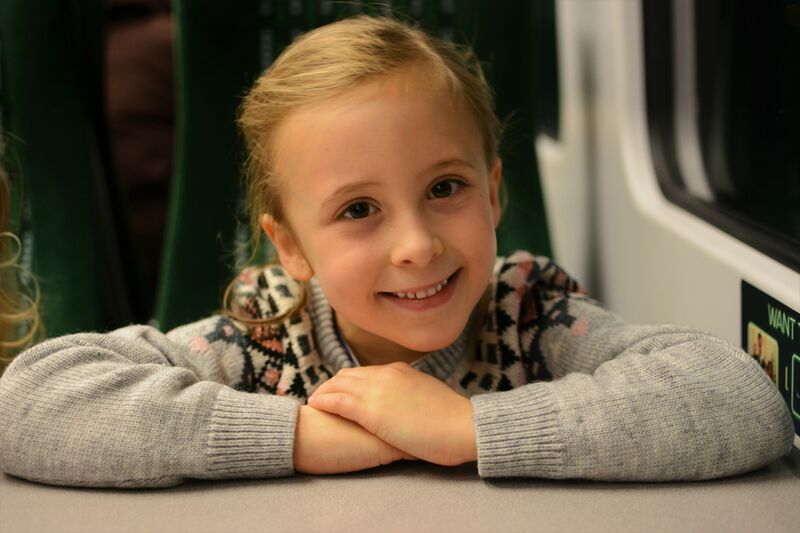 Train travel with children is somehow easier at least for us than the car as there is just something exciting about it. We drive every single day to school, to nursery, to the supermarket, to them the car is merely an inconvenience and there is basically nothing exciting about it. 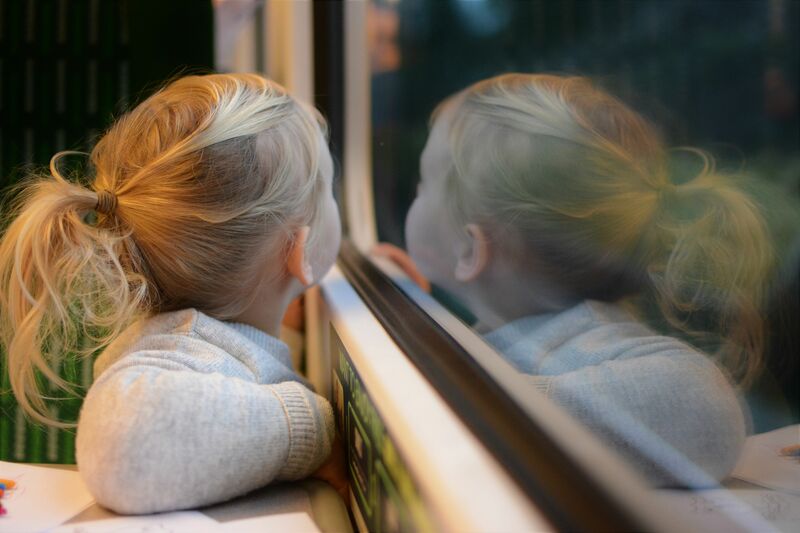 The train however opens up a whole new world, one where you have the full attention of your parents and a view of the world that you simply cannot get anywhere else. 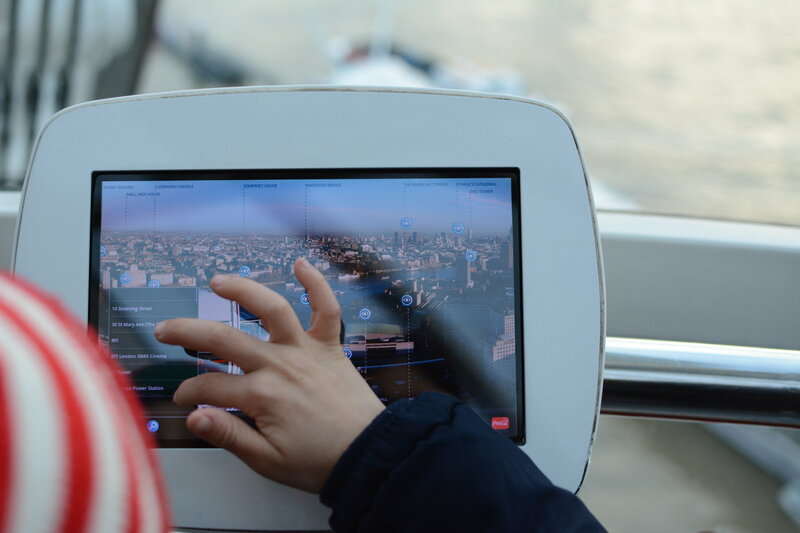 The girls took it in turns to sit by the window and see what they could see flying past as they marvelled on how fast we were travelling, we played games, ate breakfast and of course played the obligatory eye spy. Yes we had the “are we nearly there yet” about a hundred times before we had even left the county and yes due to some sort of track damages we were delayed on a slow line into Euston but somehow entertaining them is that little bit easier, and hey there is always the on board wifi and entertainment to fall back on if need be too. 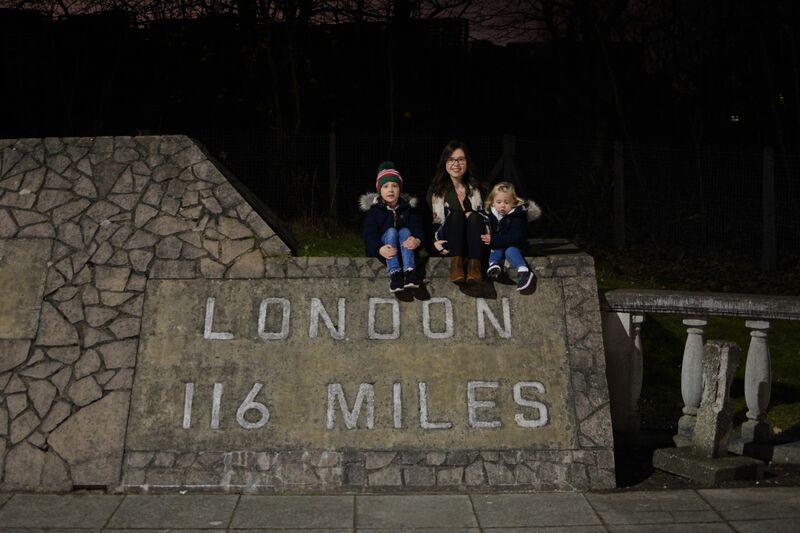 We finally arrived at Euston and it was time for another adventure. The Tube. Eva had a great time scanning my contactless card to get us through which made her feel very grown up and Roma basically thought the tube was the best thing ever. She melted many hearts of fellow commuters as this tiny little 2 year old insisted on standing and holding onto the bars like Daddy! She wasn’t even fazed at all when the inevitable jolt forward happened despite me warning her it would. We chatted the entire time about anything and everything they could see and it does make you appreciate the little things that they notice and they are learning from the kind of travel that we see as merely a means to an end. 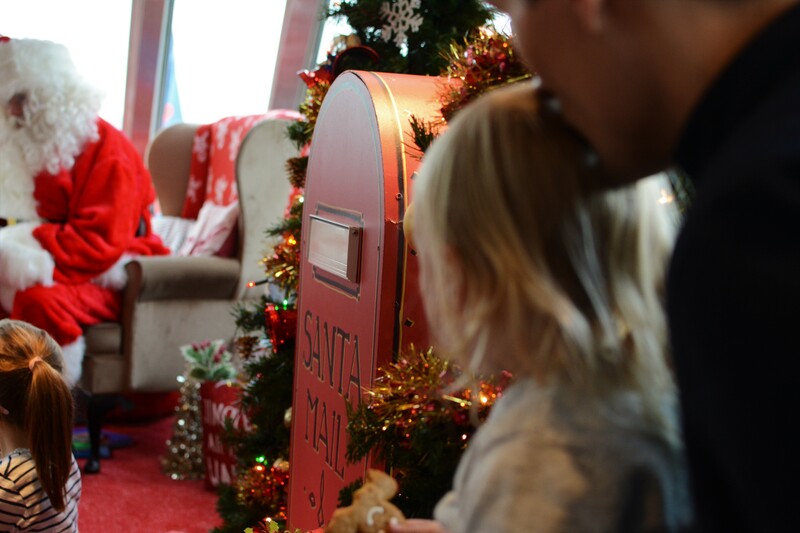 After a short walk past the Tower of London and it’s amazing ice rink (Eva stood for ages watching people skate) we headed straight to the Pier for our Sail with Santa, I have written all about it here but it was so lovely, a chance to meet Santa and have a river cruise all in one, a perfect start to our festive day. And it was just that, the start. When we had finished we stopped at ZiZi’s for lunch just a short walk away, the place that will always be remembered for the time Eva lost her tooth whilst eating Pizza! It was so novel to lose a tooth in London, and so gross for me to have to carry it around in my bag with the weight of not losing it and getting it back safe for the tooth fairy that night. 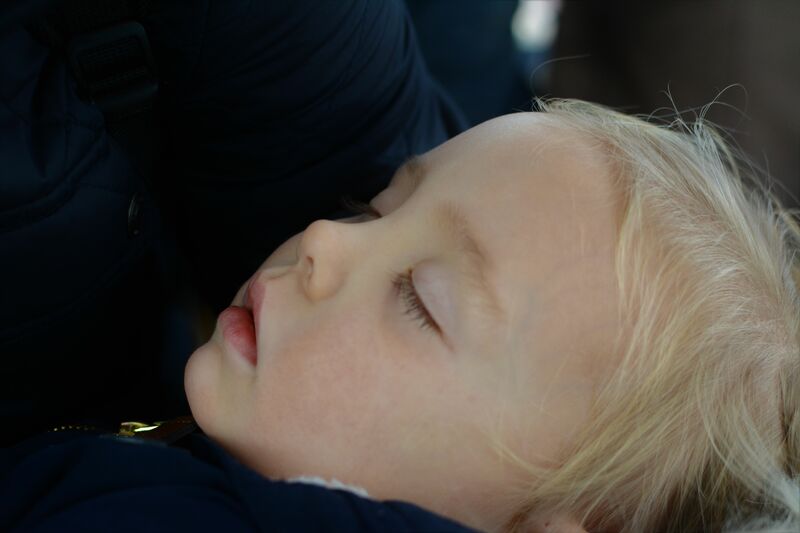 Hopping back on the tube we made our way to the London eye, this little one decided the early start and the Santa excitement was all too much and fell asleep just as we arrived, we took her all the way to the top of London and she was asleep! Thankfully as we have Merlin annual premium passes we didn’t have to queue more than a few minutes and we were on. This was like Eva heaven. 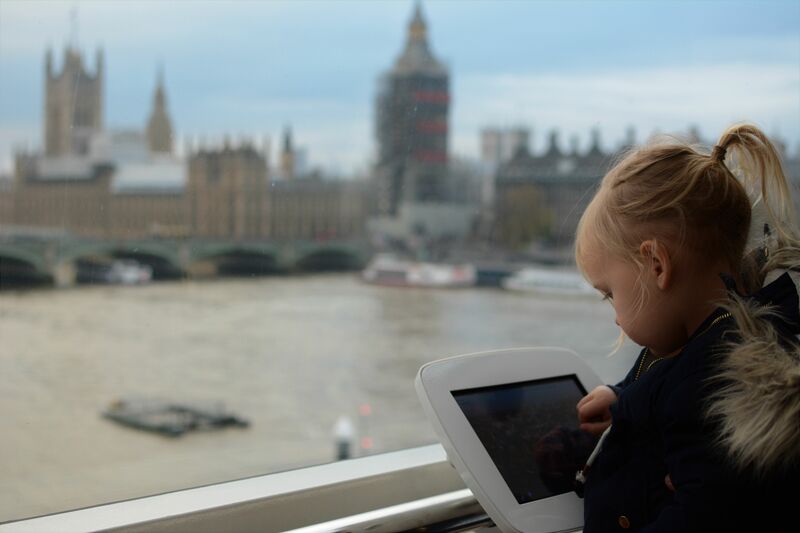 She was a little apprehensive before about the height but as soon as she could look at the history of the view on the ipad she was sold and I am sure she would have stayed there all day if she could. Thankfully Roma awoke just in time to make sure she didn’t miss out on all the fun! Our next stop just a few yards away was Shreks Adventure. We knew that given the time we would have to choose between this and the Sealife so we opted for this to be a little bit different. 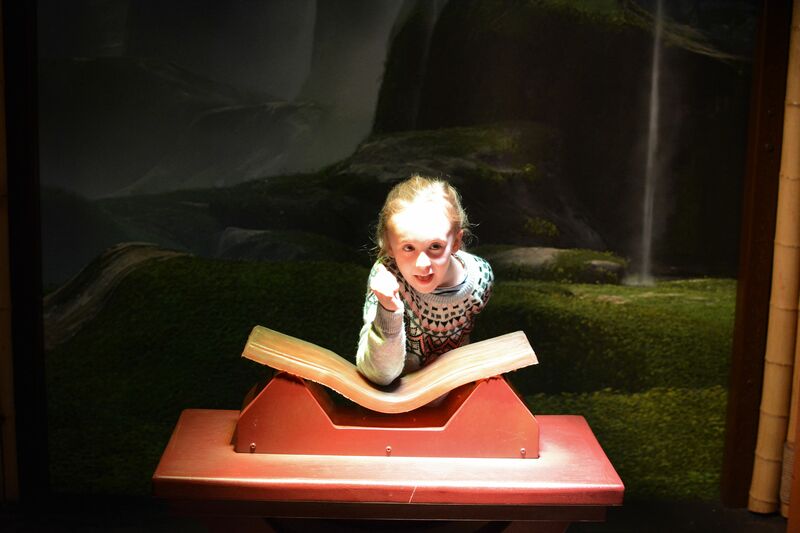 Whilst I am sure the sealife in London is amazing and has it’s own things to offer the girls have been to plenty of sealife centres and so really there was a clear winner. 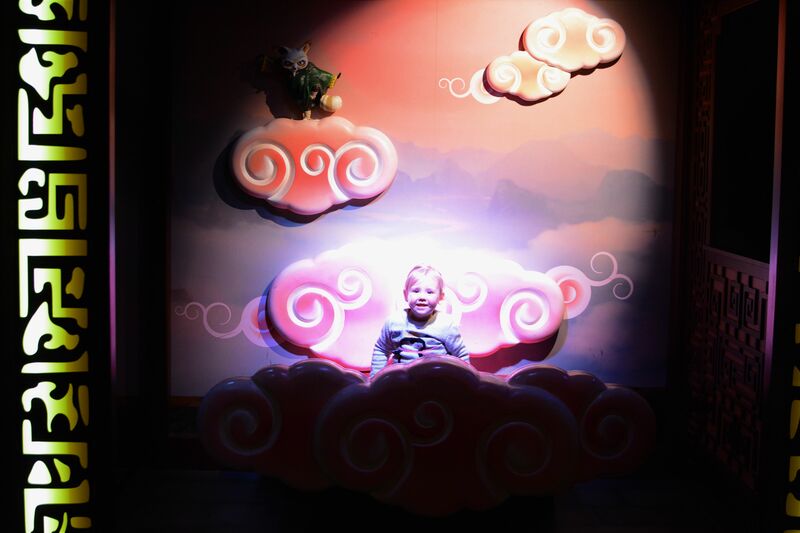 From the moment you walk into Shreks adventure it is magical. It really is like you have walked into a film set and as we stood in the small queue there were spotlights of red and green shining down on us. The children delighted in pretending to be ogres or witches and laughing at one anothers green faces. There was a fair bit of waiting around I would say in the beginning here but the way it is set up all around is really cool. I liked all the walls and the touches of décor they had, some things that even the children wouldn’t notice, much like the films I guess where there is a little bit to keep the adults entertained too! There was a very cheesy start of the tour with some dodgy American accents going on but bless him he tried his best in audience participation. As we were led into the tou we were greeted by different Shreks characters which told a story that ran throughout and kept the children engaged a the time we were there. It was a little dark at times, and I don’t mean in terms of light (although it was that kind of dark too) but with dramatic music and what I think they would label ‘mild threat’ on a dvd warning just be wary for sensitive souls. Roma was a little sensitive and was carried by Eddy most of the time but there was another child bless him that screamed almost the entire time. 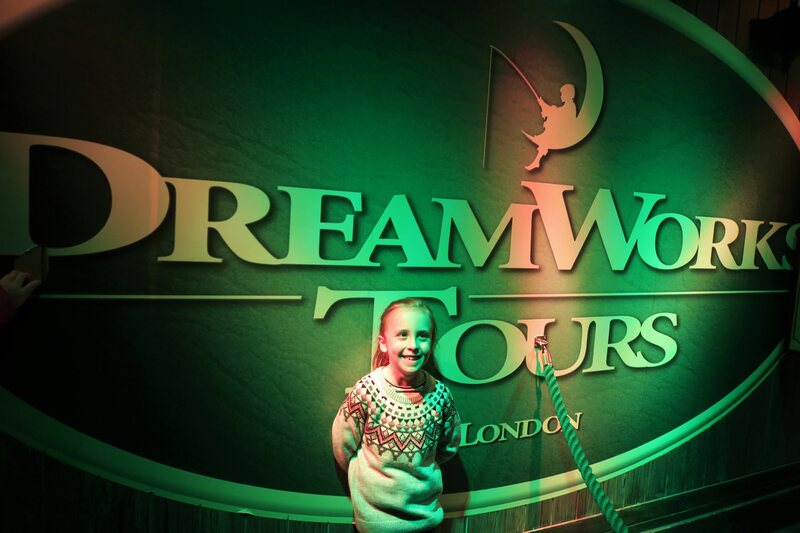 Eva’s favourite bit was the 4D car which was so immersive and sprayed water at you at just the right moment too! Unfortunately there was no filming or cameras allowed in there but it was pretty impressive. One moment that made me almost howl with laughter was that Cinderella took a bit of a shine to Eddy, as I mentioned he was holding Roma and she called him ‘dawbs’ asked if he owned a castle and was of course slightly disappointed when he didn’t. She made him go into Shreks toilet to look for something and immediately as I reached out for Roma she burst into tears that Daddy had gone! Bless poor Cinderella I think she felt awful but I am pretty sure that Roma will not be looking for her glass slipper anytime soon! 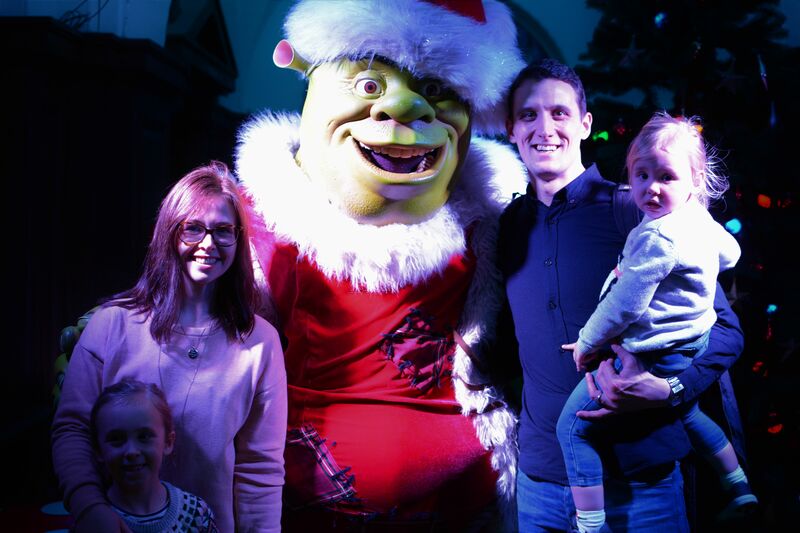 Like I said there was no filming allowed in the tour itself but an opportunity to have a photo with Shrek at the end, the girls didn’t want to at all without us so I had to hand over my camera, it isn’t the best photo but I love it all the same, us and Christmas Shrek! 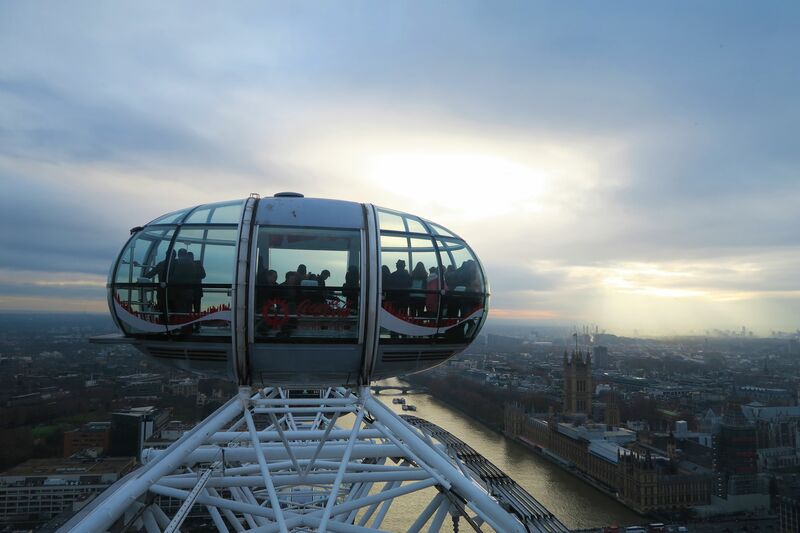 As soon as we came out of there it seemed so late, it was dark, the London Eye was all lit up and we decided to go to Leicester square to the Christmas market. After a quick look round it was so very busy and the children were a little tired we jumped back on the tube to head close to the station for some dinner. Due to the same faults on the lines encountered in the morning there were lots of delays and cancellations on the trains so we wanted to be in the right place with plenty of time and luckily enough Eddy has his long legs to race on first and get us all a seat. 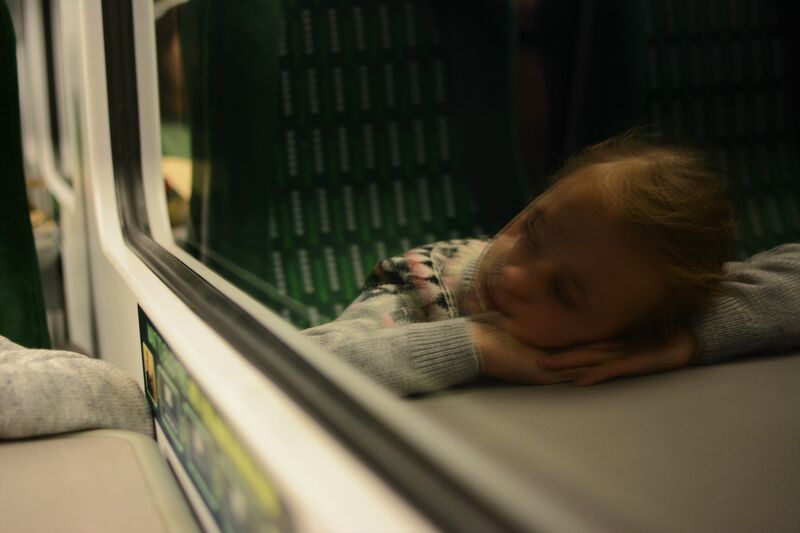 As we relaxed into the journey home Eva declared it her best day ever and although tired we had two very excited girls talking all about their day and taking in the journey. I have always been lucky on trains that people are super lovely too and when we didn’t have any water for the girls a kind lady overheard and gave us some. 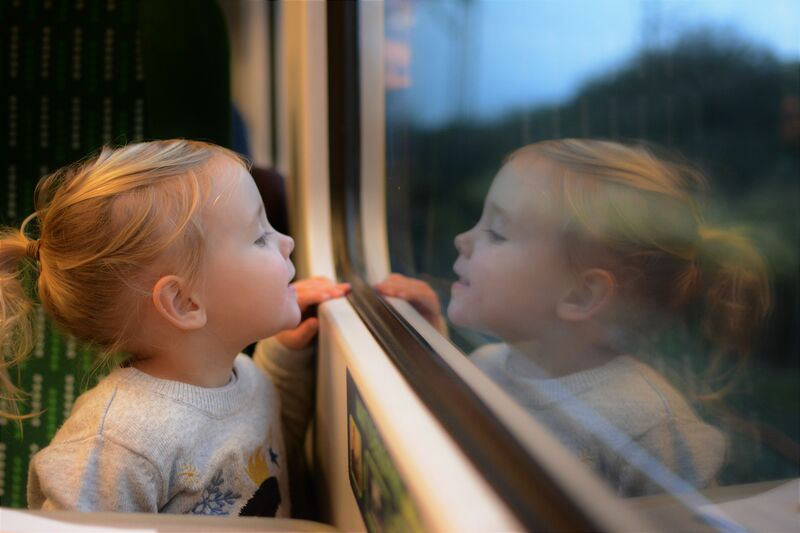 It is this kind of selfless act that can really make these journeys much easier because lets face it travelling with children however you do it is never without it’s challenges, for us though, the train is definitely up there with the best. As we made the journey home way past bedtime the girls soon fell peacefully asleep in the back of the car and it was the most perfect end to the day. We had a really brilliant day and I will definitely be doing it again very soon. If nothing else because the girls have talked about not much else since! 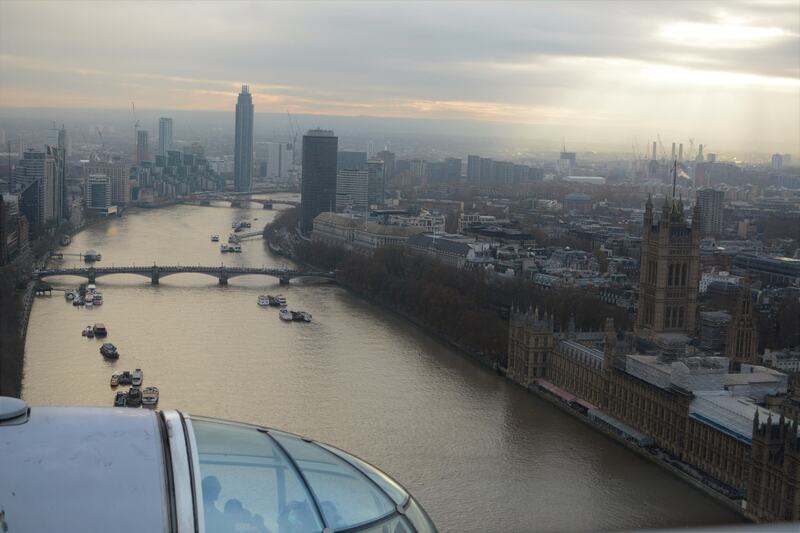 **Thank you London Midland for inviting us to Travel, we had an amazing time. As usual all content created is my own.